Let’s assume we replace the excise stamps with the QR-codes. These are issued by the same governmental authority to the same manufacturers, yet cost much less and cannot be forged to be put on counterfeit goods. Why so? 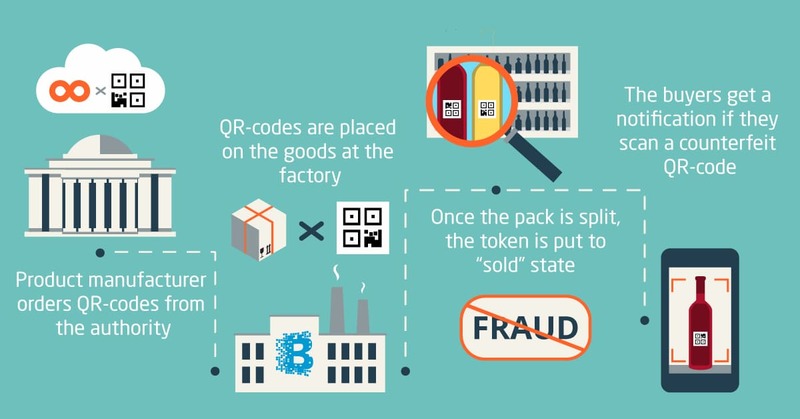 Because each QR-code contains a hash, these hashes are stored in blocks and these blocks are tracked in the blockchain-based solution. This approach allows greatly increasing the tax income, exclude the risk of fraud and simplify the logistics control, so it’s a win-win situation for all law-abiding citizens. Read more about this blockchain use case on the solution page! NextBig Data: What is Web Scraping and how to use it Previous Alexa apps: Dive In, Move Along, Wait for Now?